The old tower ( over 500 years)renovate with old mill for olive oil and small do not need renovation,but mill need to be full mill is still like before 400 years. 70 km far from Dubrovnik with sea view. The castle is one of the view completely restored Renaissance castles in Austria. In the end of 16 Hundred, 2 distinctive oriels were added to the existing building. 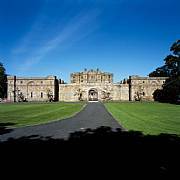 1728, the Duke of gave order to an Italian craftsman to garnish all representative rooms with stucco. 15 year ago the castle got completely renovated. This castle is located in the heart of Salzkammergut at the sunny side of the lake. The world-famous Salzkammergut presents along with his beauty also the highest cultural values. The castle' origins reach the Middle Ages. Together with its adjoining buildings it is surrounded by forest and meadows. It offers gorgeous panorama. Real estate for sale: Restored late clasic castle on a 26 Ha (70 acres)estate, build in 1850, renovated with all modern utilities. Near the university city Leuven, close to Brussels, the centre of the european union. 18th Century Castle Between Aix En Provence And Marseille. Exceptional castle from the 18th century between Aix en Province and Marseilleâ€¦. 33 rooms all with private bathroom, receptions, restaurant, large pool, office rooms, 3 Ha Park Bar, meeting rooms. Beautiful renovated castle in countryside, dated back the 16 century, nice view, 1000 mÂ² of living space,20 rooms, central heating, swimming pool, tennis court, guest houses, 12 hectares ground. Castel Horizon is a natural retreat on the French Riviera. With stunning 360Â° panoramic views overlooking the Mediterranean, Nice, Antibes, Cap d'Antibes, Cap Frerat, Juan-les-Pin, Golfe Juan, Vallauris and Iles de Lerin it offers splendid opportunities for relaxation, shopping, golfing, beach life and true french gourmet dining. 19th century castle close to Montpellier and the beaches ..
More than 600 mÂ² of perfectly renovated living-space,distributed over 8 rooms,large receptions,annexes,green-house,huge pool and it's pool-house. ChÃ¢teau 19 Ã¨me style Renaissance proche grande ville du Languedoc. 12000 mq park in the country on the top on the hill in the area of wine production. 80 km. from Turin - 90 km. from Milan 30 km. Located 20 minutes away from International airport, from Edinburgh and close to all major highways and conveniences. This is the perfect getaway for a Golf addict, with privacy, security and an incredible view of the coast line, this is the property you have been looking for. Approximately 9 minutes from Champaign. Soon to be seen on HGTV! Could be used as a weekend getaway, corporate retreat, bed & breakfast or timeshare. Or the Ultimate Bachelor Pad! Click on the website link below for more details and photos (and see the "Top Ten Reasons for Owning Your Own Castle"). Built in 1902 Kip's Castle is a medieval-style mansion on 10.5 wooded acres overlooking the unmistakable beauty of the New York City skyline. A Fantastic Tropical Castle Wait For You! 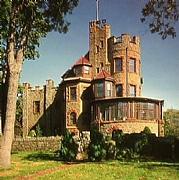 This beautifully designed Swisscastle in the northeast of Brazil magicaly at the first attempt. It is in an extraordinary romantic rustical type built that it works at first sight as antistress and much satisfaction. All our visitors and guests are impress this extrem comfort of which this sight cause. Situated in the Northern part of Transylvania, the castle was built in 1776. It's area extends to 6060 sqm having 4 different bodies with 14 rooms (saloon included). The domain is magnificent having a 20 ha of 120 year old oak wood. There is also land available for grazing field and an orchard. Even more pictoresque, the property includes an ancient mill. A majestic linden tree, four hundred years old still stands in front of the manor, the tree is now listed as natural heritage. This is a fantastic opportunity to purchase an old palazzo situated in the centre of the medieval village of Falerone, renowned in the region for its Roman and archeological interest, in the beautiful region of LeMarche. The area contains archealogical sites and museums of interest.